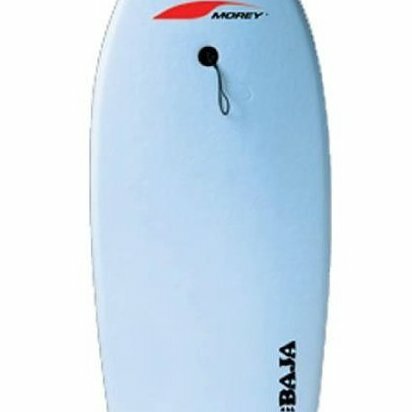 Full-size 42.5-inch entry-level bodyboard for beginners and intermediate riders Eight-pounds IXL top skin and eight-pound IXL rails. Dimple 25-millimenter HDPE bottom-skin for increased speed. Bat tail and wrist leash. How-to-bodyboard DVD.